Having survived her perilous childhood as a royal captive, Selene pledged her loyalty to Augustus Caesar in exchange for a throne. Now the young Queen of Mauretania faces an uncertain destiny in a foreign land. Forced to marry a man of the emperor’s choosing, Selene will not allow her new husband to rule in her name. As a religious icon, she wins the love of her new subjects, begins building a new capital city and brings forth bountiful harvests for Rome. But it’s the magic of Isis flowing through her veins that makes her indispensable to the emperor. Against a backdrop of imperial politics and religious persecution, Cleopatra’s daughter beguiles her way to the very pinnacle of power. She has never forgotten her birthright, but will the price of her mother’s throne be more than she’s willing to pay? I had the good fortune to review Lilly of the Nile and it was excellent. Ooooh, I must read this one! I really liked her first novel! I'm so looking forward to this book! Guess I join the ranks of those ready to get our hands on this book!!! Ditto on the squeeing -- eagerly anticipating this one! This is the first I have heard of this book.. Sounds a bit different and intriguing. The cover feeds that impression. I'm looking forward to this book so much. 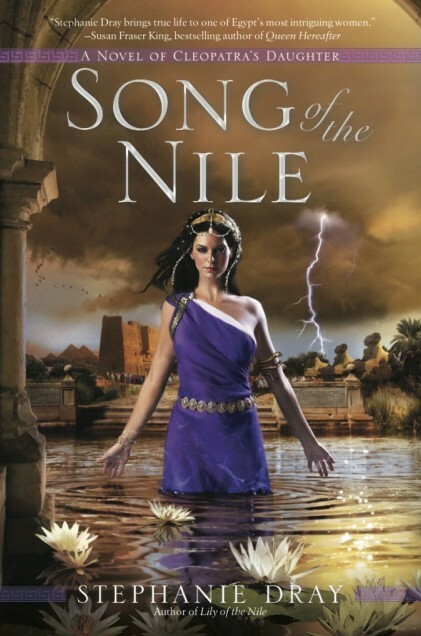 I read Lily of the Nile and absolutely loved it.